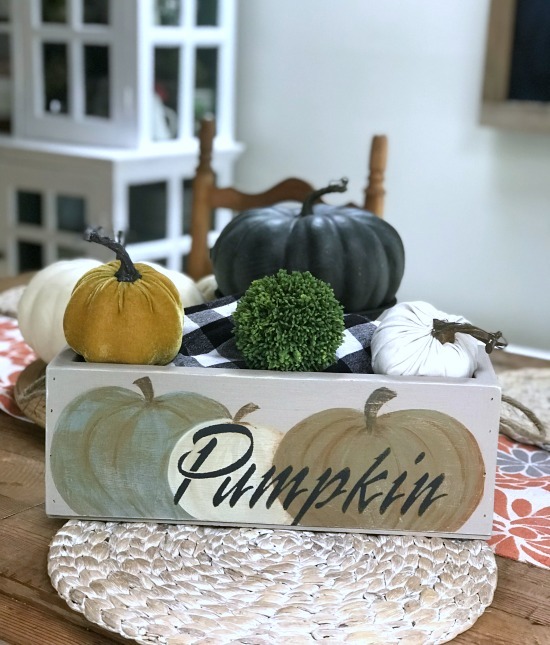 the perfect centerpiece crate for Fall. 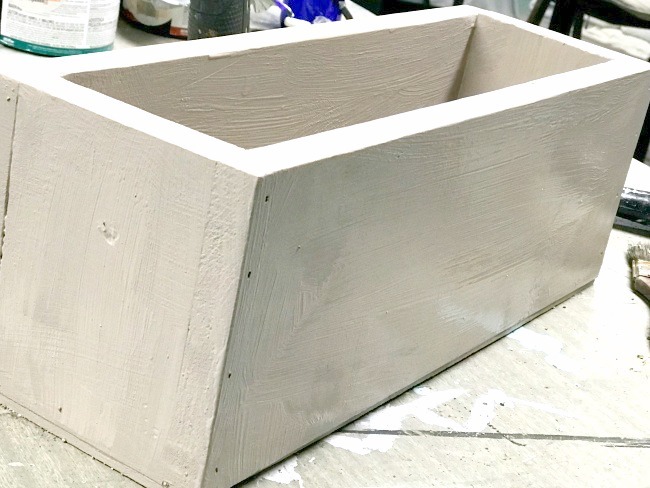 This project began with a simple DIY build using one board to build a crate. Next I painted it in a great neutral fall color. 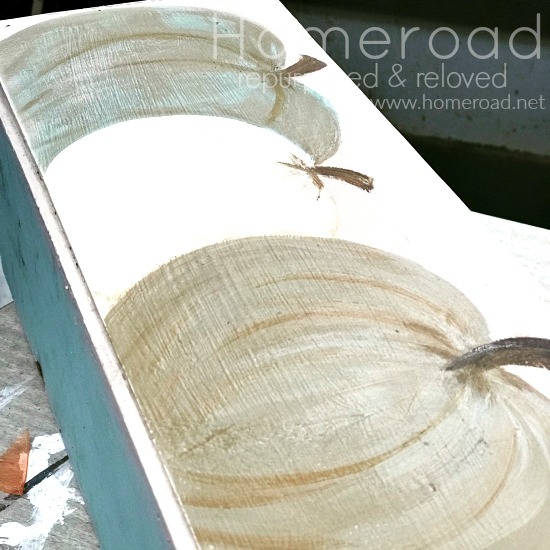 I painted this color over a muted blue so when I sand the top layer a little of the blue will show through. 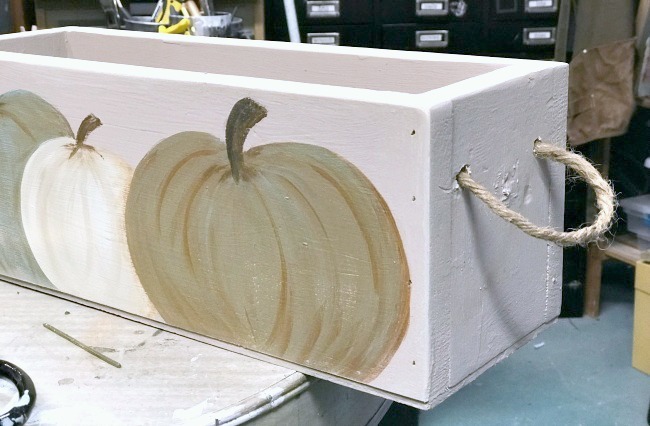 When the paint was dry I hand painted a group of pumpkins onto the front of the crate. I used some of the blue color in my pumpkins that I want to show through when I distress the crate. If you are not a painter, and I use that term loosely, you can use a pumpkin stencil. Just give it a try, it's easier than you think! I drilled 2 holes in each side and added jute rope for handles. 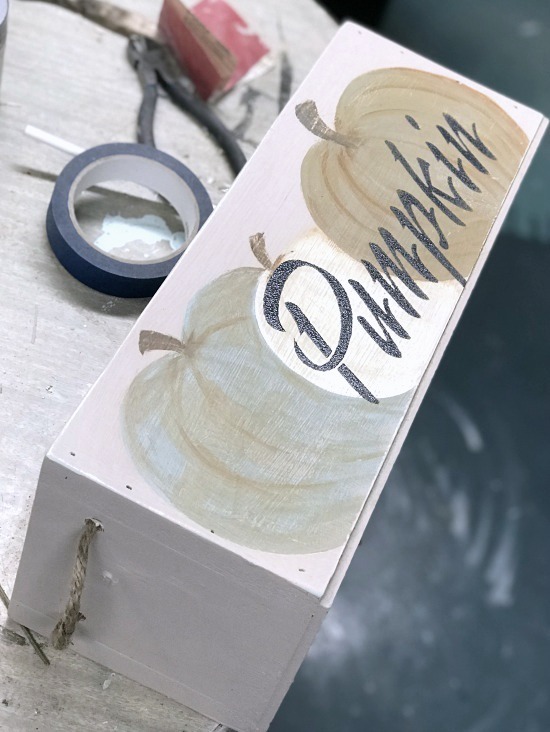 I distressed the edges and the pumpkins with a light sanding to reveal a little of the blue undercoat. 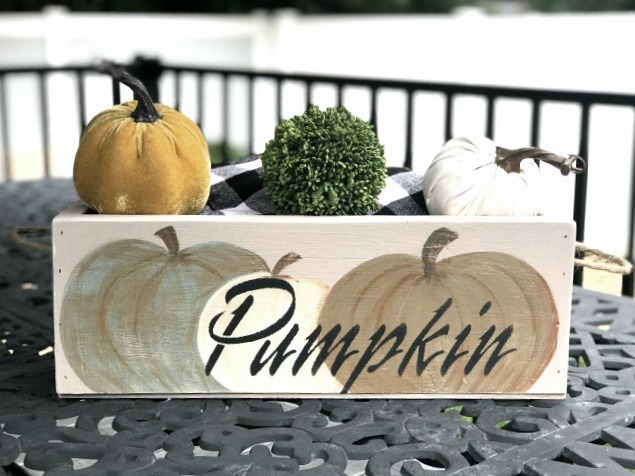 The last step was to add a pumpkin stencil to right over the painted pumpkins and boy did I hold my breath! 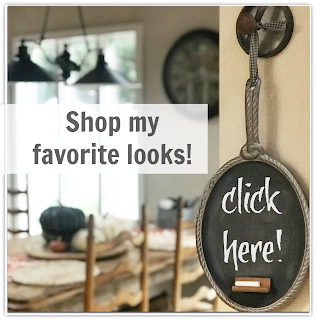 The investment in Old Sign Stencils never gets old, you can use them over and over for years. This time I used only part of this fun stencil! Luckily it came out awesome! 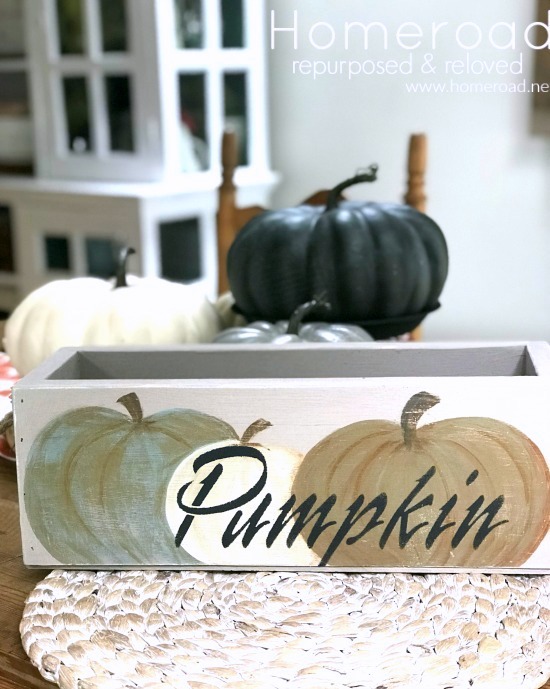 The trick to stenciling is to not use much paint. I almost always use a foam pouncer for stenciling with very little paint on the pouncer. If I need more paint I can always go back over the stencil with another light coat. So pretty filled with pumpkins on the Thanksgiving table! I'm not a big fan of fall decor but you knocked it out of the ballpark on this one!! I might just have to go to my garage workshop and build a couple crates. Would love to see a Christmas project using a similar technique. Amazing project. I love it. Wish I could paint pumpkins like that.